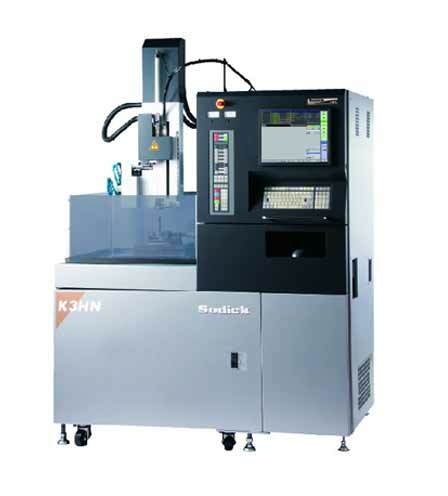 Equipped with "KSMC (Sodick Motion Controller)" , optimum servo control is made possible, leading to two times faster machining speed then conventional machines. Optimum micro-step servo control which can precisely perform micro-step feeding enables more stable machining. Automatic depth measuring is standard. K3HN is equipped with LN assist auto programming system enables even beginners to easily operate the machne. Several calculation in micro pograms are available to create complicated programs with ease. * Manual type is standard, NC type is optional.